Centre Philou is a non-profit and charitable organization that provides specialized services to children with multiple disabilities and their families: respite stays, summer day camp, development programs and family support. Provide continuous support and development services to children with multiple disabilities and their families, while being complementary to public services. 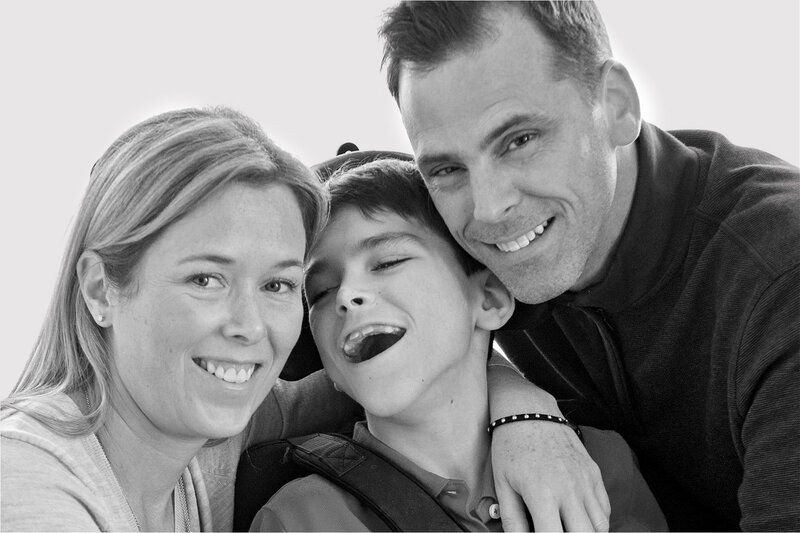 Improve the quality of life of families living with a severely disabled child. Centre Philou was founded in 2005 by Diane Chênevert and Sylvain Brosseau, parents of Philippe (Philou), who suffers from a severe form of cerebral palsy. During the first years of his life, Philippe was an extremely difficult child... he was always crying and he would never fall asleep. Thus, Philippe had a lot of difficulty to drink and eat, he was often sick and refused to be taken care of by someone else than his parents. By doing some research, Philippe's family found a lack of resources for respite as well as psychological, financial and other help. That's when Diane and Sylvain set out to fill this gap by offering a new respite service. Gradually, the idea made its way to the creation of Centre Philou.